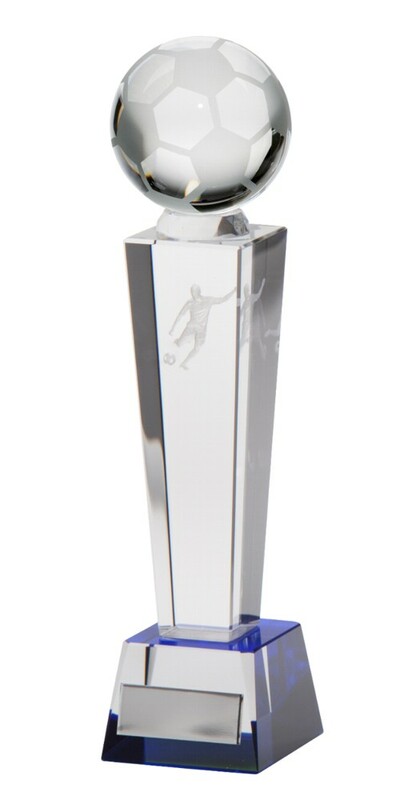 The Legend Crystal Tower football trophy is mounted onto a perfectly clear crystal column with a crystal base to create a very stylish award. Available in 3 sizes 180mm, 220mm and 245mm high. 3D football figure inside the crystal with the ball on the top. Complete in a presentation box. Engraving included on the plate.